Welcome to the "One Mom. One Girl. Together We Rise." parenting podcast. You have found the right podcast if you are a mother interested in raising a brave, resilient, kind, & confident daughter with grit. Join PCI Certified Parent Coach® Angie every morning, Monday through Friday, as we discuss ways to empower our daughters and ourselves. Your TOP 3 parenting questions answered! Tune in to today’s “Thirsty Thursdays” if you’re thirsty for some parenting information! Today, we look at your top three parenting questions: 1) How to stop yelling, 2) What to do about sibling rivalry, and 3) What to do instead of spanking and time outs? Email ParentCoachAngie@gmail.com if you’d like your questions answered! Building confidence in your daughter by being her biggest role model. Jump on the KonMari Train & Find Joy! Ya can’t just watch the movie - you’ve gotta read the book! The Netflix show Tidying Up with Marie Kondo is super popular now. But, the life changing mindset happens only when you understand her method fully. In this episode, I talk about my love for her method. And I urge you to learn about it before you shrug it off as impossible. Big announcement! You can now tune in DAILY! I’m so excited to announce that this will now be a DAILY PODCAST! Woohoo! Listen in to this episode to hear all about our new changes and to hear our daily schedule so that you never miss your favorite parenting topics! If you would like to be a guest on our show and feel like your experience matches up with one of our daily themes as a mom or a professional, contact me at ParentCoachAngie@gmail.com! I’d love to hear from you! Parenting during the holidays and beyond. You are creative. You are resourceful. Use your creativity to create your holiday traditions. To My Daughter: YOU. ARE. ENOUGH. Raising girls. Encourage your daughter to take risks. Risks that she chooses. Encourage your daughter to trust herself. Encourage your daughter to celebrate her achievements. Give her the space to do so. Raising girls. There are no quick fixes. 5 key words to think about when trying to get your daughter to listen to you. Climb a tree! Skateboard! Encourage your daughter to step out of her comfort zone. Raising girls. How do we teach girls to be brave? Raising girls. 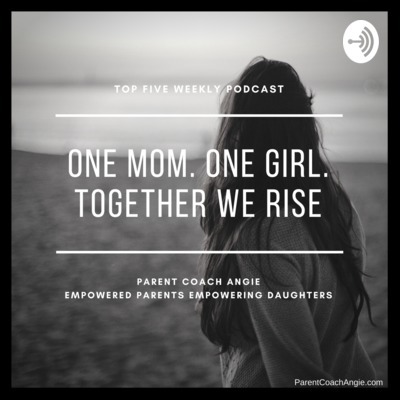 Welcome to the One Mom One Girl Together We Rise podcast! 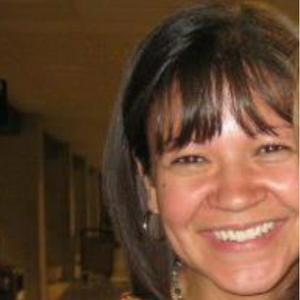 Parenting girls to be empowered with my favorite TedTalks.